1. a person who loves or admires books, esp. for their style of binding, printing, etc. With that definition in mind, it only makes sense that lovers of books should read the great books of the world. 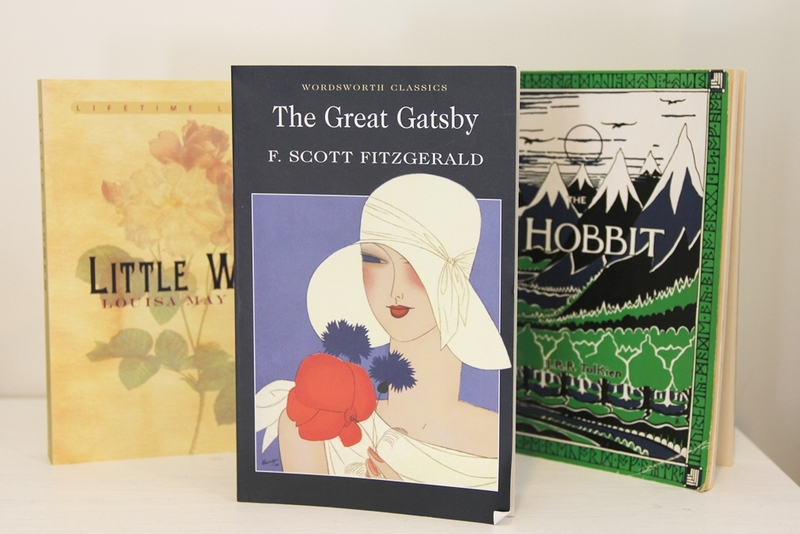 I’m talking the classics, those books that are wonderfully written, or perhaps ahead of their time, or so well known that you know the story even if you haven’t physically read the book. Being a bibliophile myself, it stands to reason that I, too, should be reading the classics. Alas, I am not. But when I checked out Goodreads list called “Must Read Classics”, I surprised myself. I have, per that list, read quite a few. Today I thought I’d share with you 5 of the classics from the top 20 in this list that I have read, and 5 that I need to read. I quite enjoyed this incredibly short book. At less than 200 pages, it’s a classic that has been studied in schools and universities for decades, and even been made into an Oscar winning movie. Perhaps not your typical classic, but a classic fantasy I would say. Unlike Lord of the Rings which I have only read once, I have read this multiple times. I remember reading it with my dad when I was a kid, and then again in school, and a time or two after that. I love this book a lot. My first encounter with the March sisters was in movie form, specifically the 1994 adaptation with Winona Ryder, Susan Sarandon, and a host of others. But the book is just as wonderful and it’s a story that I will always love. Controversial at the time, The Picture of Dorian Gray is one of those books that pulls you in with its Victorian Gothic settings, and its mad characters. I feel like is a prime example of a classic which most people know of and know the story behind, even if they haven’t read it. My friend’s English class in high school read this book, but I was in a different class so never read it growing up. It was only a few years back now that I read it for the first time, and by golly it’s disturbing. Definitely a classic, and one that screams at you through the pages. Honourable mentions: Animal Farm, by George Orwell; Emma, by Jane Austen; Alice’s Adventures in Wonderland, by Lewis Carroll; Romeo and Juliet, by William Shakespeare; The Odyssey, by Homer; The Little Prince, by Antoine de Saint-Exupéry; Anne of Green Gables, by L.M. Montgomery. I could tell you the main ideas from the book, but not the plot line or the characters. Unlike some of the classics that I haven’t read, I haven’t seen any film adaptations of this book, nor did I have to study it at school. This book I could probably pick out a few quotes from, but wouldn’t be able to you what the main story line is. I know that the main character is Caulfield, but I don’t know who is he is or what he does (or doesn’t) do. *shurgs* Need to read this book, clearly. Oh Heathcliff and Kathy. So Wuthering Heights is an interesting one of me. When I was young I actually started reading it, and got so confused because I thought it was going to be from the perspective of Heathcliff or Kathy – characters I already knew about – but it wasn’t! Somehow I never made it past the first chapter, but I really must pick it up again. I’ve listened to the audio book of Something Wicked This Way Some, by Bradbury, but haven’t read anything else by him. The idea of the book and the description has always intrigued me and I would really like to read it. Similarity to Fahrenheit 451, 1984 is definitely Classic classic, if you know what I mean. Also like Bradbury’s book, the idea and the negative uptoia sort of concept intrigues me. 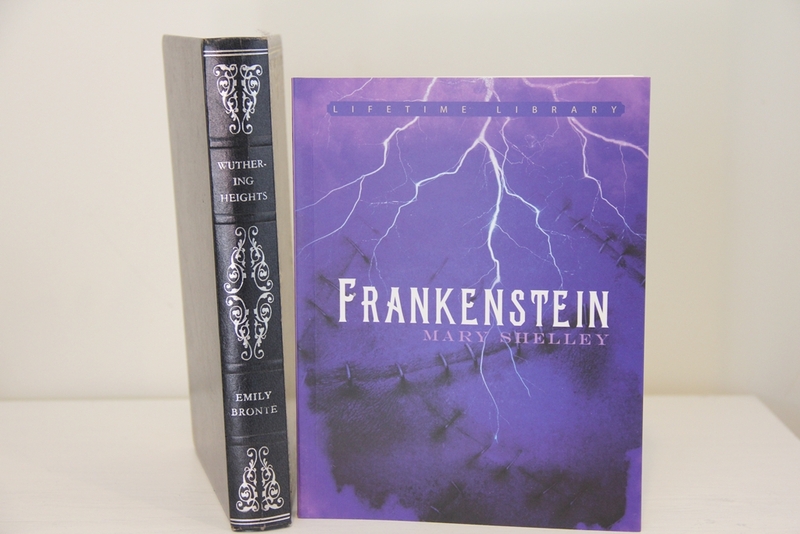 Just before we get down to book 20 on the Goodreads list, there sits Frankenstien. It’s another book that I could tell you all about without every having read it. This needs to be remedied. I have a beautiful copy of this book, actually, just waiting to be picked up. Honourable mentions: Jane Eyre, by Charlotte Bronte; Crime and Punishment, by Fyodor Dostoyevsky; Anna Karenina, by Leo Tolstoy; Dracula, by Bram Stoker; Great Expectations by Charles Dickens; Of Mice and Men, by John Steinbeck; Brave New World, by Aldous Huxley. What about you? 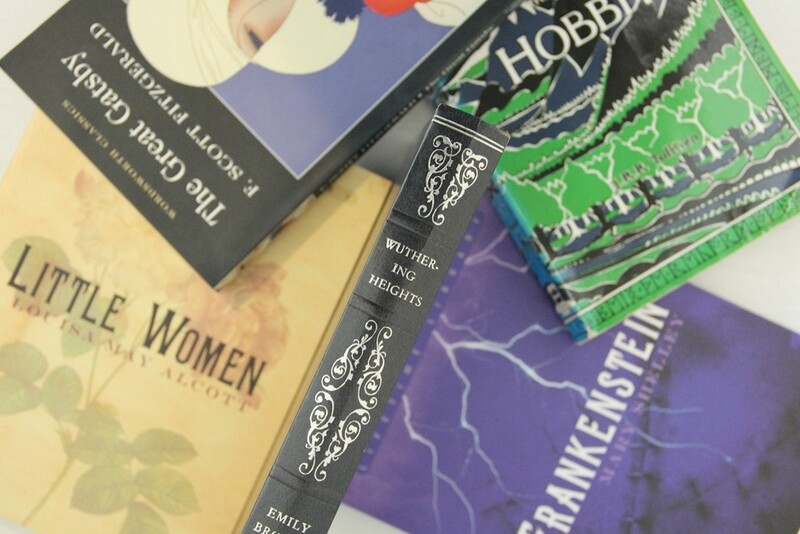 Have you read many classics? Is there any that you really want to read but haven’t quite around to it? What a wonderful post from the lovely Anjali of This Splendid Shambles! I always forget how much I actually adore some of the ‘classics’. Also I can’t get over how gorgeous the covers for these editions are either – so pretty!